Employees in business organizations unintentionally or intentionally are jeopardizing the security of the business. But intentions do not matter so much for potential pitfalls of the business security. However, the rise and rise of technology transforming our lives, especially in the modern century what it means to go to work. Today, employers have provided their employee’s multiple technological gadgets and devices in terms of cell phones and PCs. But dramatically employees are using gadgets and computers connected to the cyberspace outside the scope what their employers have permission as cloud-based computing, storage, and sharing of files. Moreover, employers usually don’t bother what their employees are doing and using in terms of social media apps and websites means to perform multiple tasks at the same time. Ultimately, something happens in such a way that compromise the security of the business intellectual property and often employees become a security threat for business. Therefore, Employers should stop and identify employees who gone rogue or they already working as rogue employees. 49% of the former employees of companies try to login the account using windows & MAC computers after leaving the company and after that sell secret to the competitors. 45% of employees usually retained access to the private data of the company and try to steal the data, reports state that. So, rogue employees access results into the security breach. Along with the secret data or intellectual data, 88% of employees get access to the file-sharing tools they utilize at their old job. However, former employees of a business organization can purge their private cloud storage and at the end of the day, a company may lose copies of their work. Business organizations mostly overlook the suspicious rogue employees to protect business intellectual property. So, apart from the fact that pointing out the rogue elements in business organizations. Every employer should know that there are three types of rogue employees which are following. The greats or innovative rogue employees always seek such methods to overcome the problems they are facing in order to improve their efficiency and performance even at cost of bowing the rules. They are always curious to work and with the advancement of the technology by far they may violate the rules and might harm the company’s reputation. Because they think they are above the rules and rules are only for less capable and less trustworthy employees. So, in short, using the advanced technology they usually forgot to protect the company’s reputation. 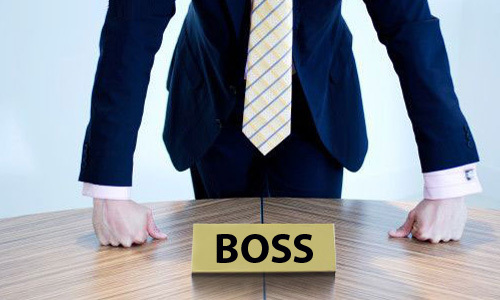 Moreover, with the rise of BYOD policy usually in a small business organizations cellphones, computer machine, and employee monitoring solutions give the boost to their rational behavior. Basically innovative rogues are simply greats and they may present dangers such as they are ruthless, efficient and often underestimate the potential hackers create corporate chaos. They are the real bad assess that every employer should know about. Bad rogue employees are actually hackers, thieves and could be spies like Hollywood characters. So, bad rogue employees could be defined as disgruntled employees having access to the secure information and have enough grudge to exploit it. These sorts of employees can breach the privacy of the confidential data that suddenly can quit from his job and they tend to steal proprietary information. Moreover, they always want to have more and more access to the database of the company and also want to take flight on many processes and systems of the business as possible. Dramatically, they want to have access to designation or duties even ones far removed from his actual role. So, how much they accrue access to multiple systems then dangers are also added up automatically. Therefore, they are actually potential attackers that exploit a company’s flaws. It is not all about that bad rogue employees are always get involved in something fishy such as potential alter and to stealing data. It is also about the few of the employee’s login and passwords which they left idle after working hours. I mean even the over-privileged employees who left the accounts or logins open and the potential hackers and cyber ransomware attacks exploit such loopholes of the business organization. However, even the high–profile breaches are based on such over privileged accounts on which employers of the company keep their trust but ultimately get trapped or become the factor of the incident. They are actually goldbrickers that always want to things happen on their own especially about their assigned tasks. They use instant messaging apps on the company’s owned mobile phones, and computer devices having access to the internet. 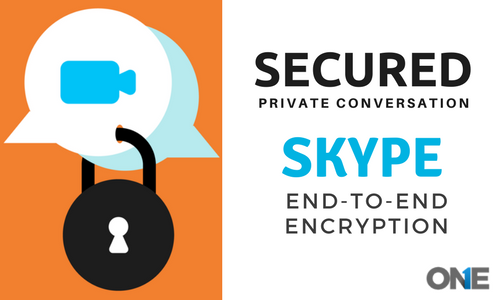 They do text messages, text conversations and shared media files, audio and video conversations on non–protected social media platforms installed on devices. They don’t bother to send/receive emails to their colleagues in terms of private and confidential data of the business. Trendy instant messenger such as Facebook, Yahoo, WhatsApp, Tinder, and others are best platforms to spend working hours. However, they do browsing activities and visit entertaining websites and often lose productivity. The lazy rogues usually gave access to their colleagues to certain data which can compromise the security of the business. It means on the name of trust and friendship they allowed fallow workers to company’s privacy rather than using proper channels, documentation, and authorization. 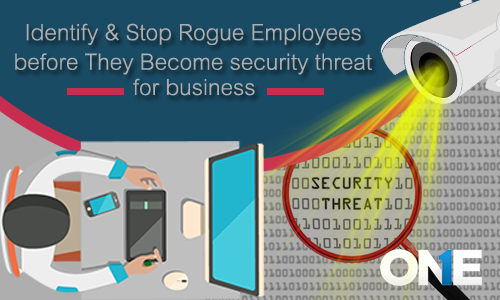 How to identify & stop rogue employees to protect business privacy? An employer should make a corporate policy regarding the use of the internet, and the company’s owned cell phones and PCs. They should impose and clear rules and regulations for the employees. If anyone goes against with the corporate policies should need to be accountable. However, employers should introduce online rules for an employee to sign. So, inform your employees about the legal and ethical tracking will be done within the working hours. The consent is necessary to impose employee monitoring. Employers should explain to their workforce about the potential threats and online attacks that can happen through black hate hackers due to their negligence while using devices and social media. When you inform your employees that they are under surveillance will be enough deterrence not to get involved in something fishy or ignoring the rules. Guide and train your employees to work without having the fear in mind that employers are watching their personal stuff such as personal lives. Simply, tell your employees we are spying your general activities related to work to have a compliant workplace. However, encourage your employees to have your personal conversations and stuff home. Employers can use phone and computer monitoring software in order to keep an eye on productivity and as well as to stop and identify the rogue employees within the working hours. You can use keystrokes logging, to get access to the user password keystrokes. 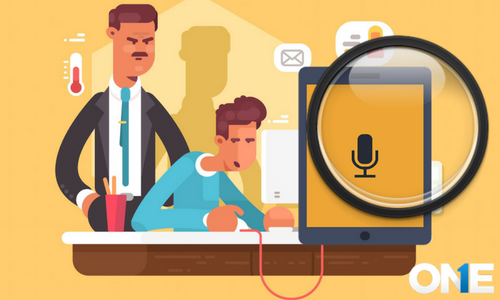 Moreover, you can record and listen to the cell phone conversations using secret call recorder tools to listen to the performance of employees as customer care representatives. However, you can use the tools like screen recording tools for cell phones and computers to stay updated about their activities and to put your worries to rest. Though can block websites relate to entertainment or the websites that can harm your stored that and that creates a hostile work environment and leads your business to multiple dangerous problems. Business organizations mostly overlook the suspicious rogue employees to protect business intellectual property. So, apart from the fact that pointing out the rogue elements in business organizations. Every employer should know innovative, bad, lazy rogue of employees. Previous post How to Protect Business Intellectual Property & Prevent Goldbricking Habits of Employees? Next post Employee monitoring: Are Employees Earning the Money You are Paying Them?